Licence to Operate Forklift is a multi day course which includes a blend of theory and practical instruction on operating forklifts in a safe and responsible manner. 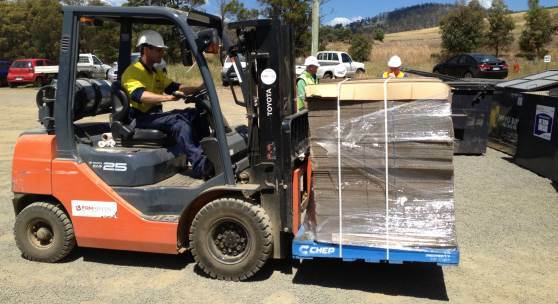 Skills covered include performing pre-start checks, operating the Forklift safely, shifting loads and shutting down. Upon unit competence, the participant can then perform the statutory licensing assessment. For full details please contact us. This course is a mandatory requirement for anyone operating a forklift. This course is suitable for workers using a forklift in Agribusiness, Transport, Warehousing and any other Industry where forklifts are used.